A human geographer by training, Elly Dijk is senior policy officer at Data Archiving and Networked Services (DANS). DANS is the Netherlands institute for permanent access to digital research resources. At DANS she is coordinator of the national scholarly open access portal NARCIS (narcis.nl). 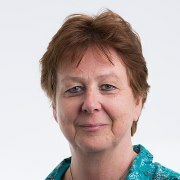 She is currently project leader of EOSCpilot, OpenAIRE Advance and temporarily of EOSC Hub (November 2018 – May 2019) at DANS. She is, together with a colleague of the library of the Technical University Delft, the National Open Access Desk (NOAD) for OpenAIRE. DANS is regional coordinator Research Data Management in this project. In the Netherlands, she is member of the National Platform Open Science, and she is part of the editorial team of the website Openaccess.nl.